Walt Disney always looked toward the future. He never stopped looking for ways to make things better, more innovative, more interesting. 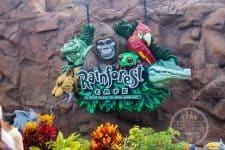 Disney Imagineers have taken his thinking to heart and have come up with the next best thing in park touring, MagicBands. Loaded with your room key, park tickets, FastPasses and credit card for charging, the Magic Band has made a Walt Disney World Vacation simpler and easier. Gone are the days of scrambling for your ticket at the front gate or fumbling to find your room key. It’s all there right on your wrist. 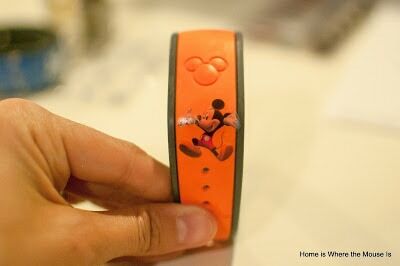 Recently, the Magic Band has become much more than a band of convenience, it has become a major fashion accessory. Park goers have taken to decorating their Magic Bands to show off their #DisneySide. You don’t have to be a proficient crafter to pull off one of these creations either. 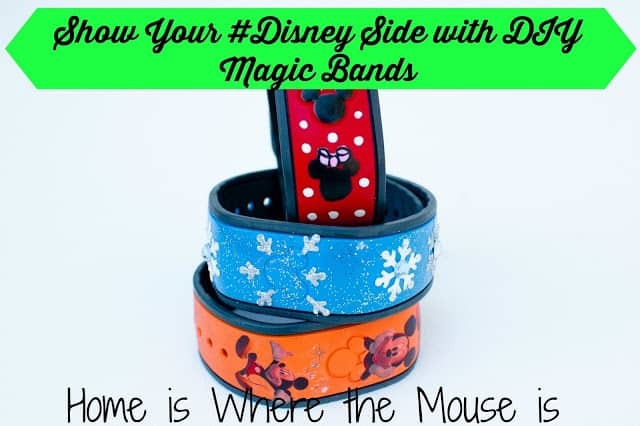 Here are 3 simple ways to dress up your Magic Band that anyone can do. 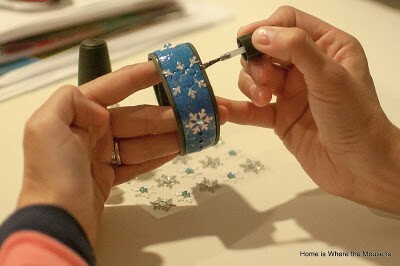 With just some glue and a few rhinestones, you can make your Magic Band shine. You can keep it simple by covering the entire band or make a fun pattern. If you want to make it even easier, consider purchasing some Magic Bandits. Yes, Disney Merchandise has even gotten in on the Magic Band decorating act. You can buy anything from sparkling Mickey heads to your favorite characters. These can be purchased in any gift shop or online at the Disney Store. 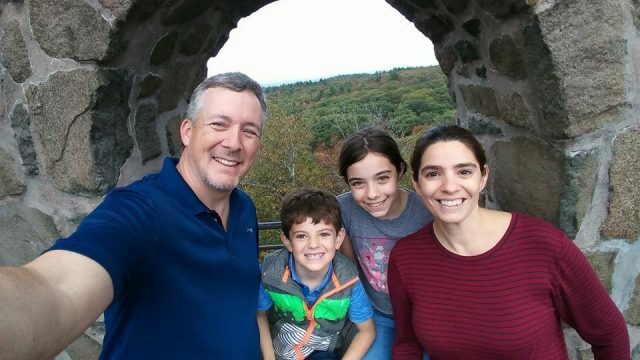 This idea takes a little more time but is so simple, even your kids can do it. Cut your tattoo to fit your band. 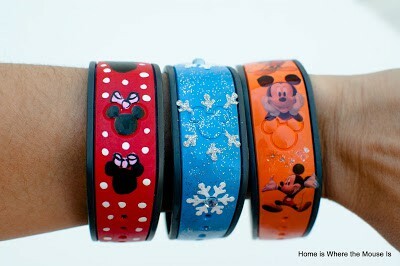 Take off the clear paper and lay it sticky side down on your Magic Band. Take a damp towel and press it firmly on the tattoo making sure you cover the entire tattoo for 30 seconds. Make sure not to move the towel at all during this process. Lift the backing paper and allow to dry. Clean up any of the sticky bits with a toothpick. Once dry, coat with clear nail polish to prevent cracking and peeling. If you are more on the artistic side, then this method might be a good idea. Purchase Nail Art Pens or Paint Pens to create pictures, scenes, icon or just about anything you can think of. When your art work is dry you might want to seal it with a coat of clear nail polish. 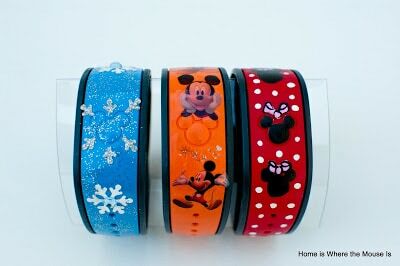 Next time you hit the parks, you’ll be doing so in style with your custom decorated Magic Band! So simple and yet so stylish and fun! Hmmm . . . which method should I choose?! Paint is my favorite. If you use paint pens, it's even easier. It's like drawing on your Magic Band. I love the blue one! It would be great if you were Disneybounding as a Frozen character. That's my favorite one too! My daughter and I are fighting over it! Nail art pens, what a great idea! I'm sure those are easy even for a child to use and decorate their own band. Absolutely! I'd probably let them experiment on something first before giving them the Magic Band. But that would be a great pre-trip activity! Oh, I agree! My left hand always looks amazing while my right looks like my 4 year old did it for me. I really like the tip to cover the stickers with nail polish. I would never have thought of that. Reminds me to bring a bottle with me on our next trip. Never know when you may find cool stickers.